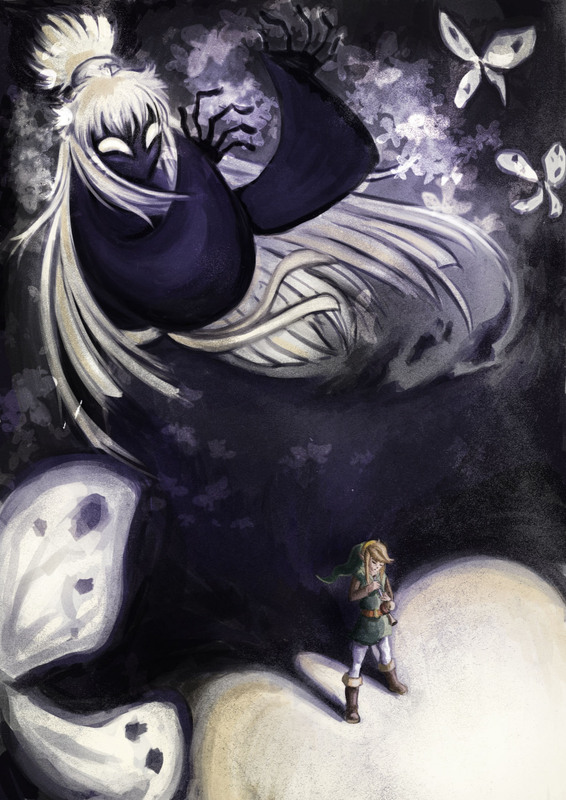 “It’s the Shadow Hag from Oracle of Ages, she’s the poe witch boss of the third dungeon, which is a maze that runs underground below the entire island. I always liked her, oracle of ages was my first Zelda game and I always saw her as a scarecrow. I like how to defeat her you have to face away from her and just trust your weapon(the seed shooter) and if I remember well you don’t even need sword and shield to defeat her. That`s the description Gakoru from Belgium send with his entry for Link`s Blacklist. It made us proud to be the host for this tribute, which resulted in so many unique artworks of rarely drawn characters. I have yet to see another Shadow Hag related fan art in such a detailed form. 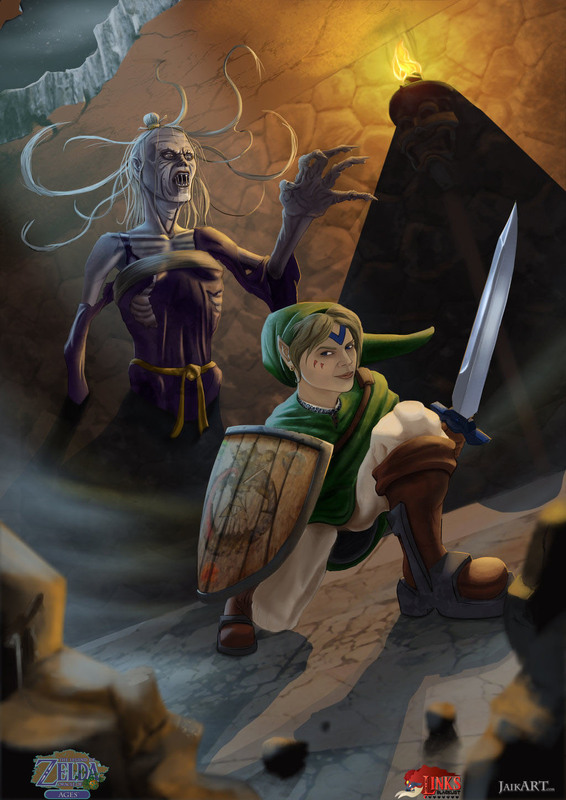 Our second Illustration of the Shadow Hag comes from Jake Opperman a student from Australia who is a big fan of the Game Boy Zelda games.